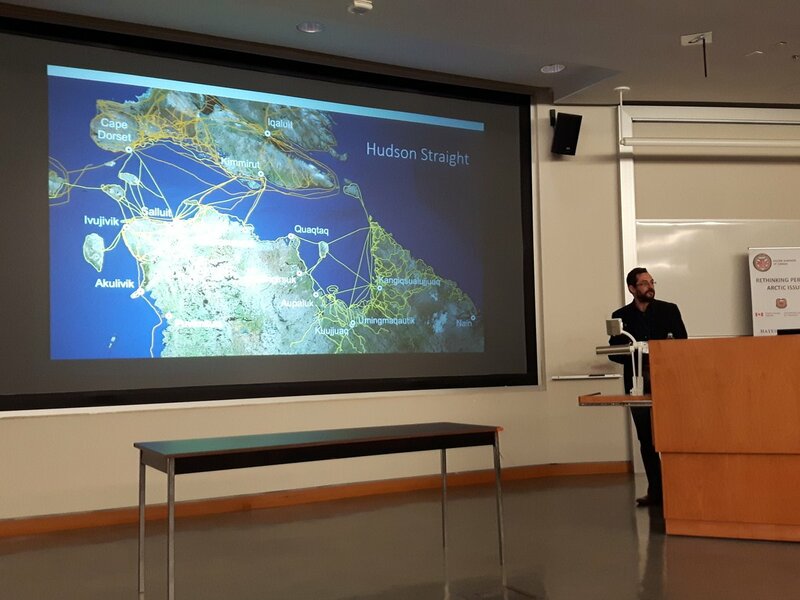 The first meeting of the Mobilities & Migrations Subproject was held on 20 April 2017 at Dalhousie University, Halifax, in collaboration with the Company of Master Mariners of Canada. The potential role of collaborative training programs and two-way knowledge sharing. Consider the Pikialasorsuaq Commission’s model of Inuit-led governance and management as a model for partnering with Inuit. The seminar represented an important dialogue between key players of progressing improvements in safety, preparedness, and response, and engaging with Arctic communities on such topics. A strong message that emanates from this event is that it is not appropriate for the Government or industry to lead developments, engaging with Inuit as they deem necessary. Rather, the initiative needs to be based on a partnership, and such a partnership needs to be formalized so that roles are clearly defined and the partnership is built on mutual understanding and agreement. Inuit have a lot to offer and are very open to negotiations and dialogue. We’re not steadfast to say ‘this is the only way this is going to happen’. We are known as nation builders. We are known as cooperative human beings and I think that is what we have to take away from today – Inuit and other Indigenous peoples are not second-class citizens. For further information, please contact Leah Beveridge (leah.beveridge@dal.ca).